When Thailand is talked about in the tourist circle, popular destinations like capital Bangkok, Chiang Mai, Chiang Rai, Phuket, Pattaya, Ko Samui and Krabi dominate the conversation. There are however, other striking places in this Asian nation that are unfortunately less known but are no less attractive. Five such are detailed below. Ayutthaya Around ninety minutes by road from Bangkok, Ayutthaya was one of the greatest cities in Asia during the medieval period. It was founded in 1350 and remained capital of Siam kingdom for over 400 years. With a myriad of palaces, monasteries, Buddhist temples and chedis adorning the landscape, it was then regarded as one of the most beautiful cities in the world. Unfortunately, a devastating war with neighbouring Burma in 1767 reduced the city to ruins, which still exist to evoke the splendour of the past. Local Thai people and some outsiders still haunt this wrecked arena for a connection with the kingdom’s hallowed past. Once home to over 400 temples, palaces, stupas and noble houses, only a few so far has been partially restored. 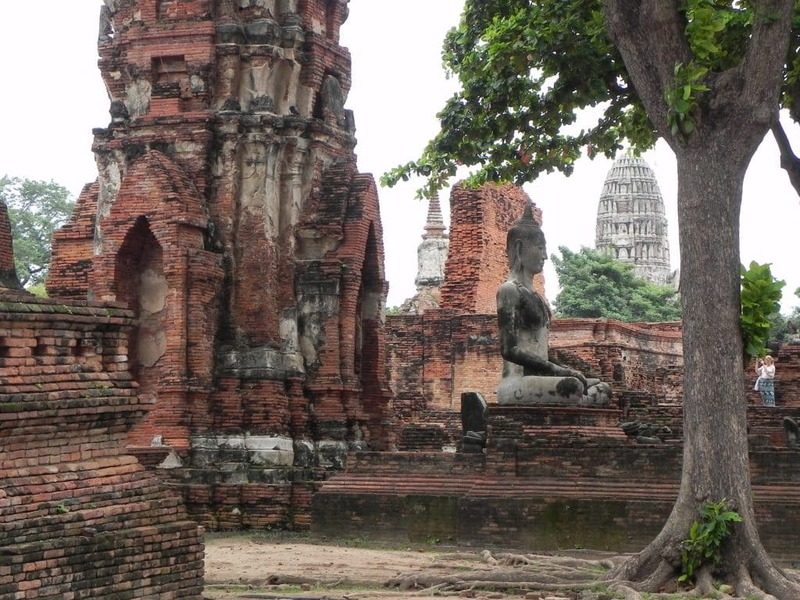 While still in ruins, the leftovers of the Grand Palace show the might of the kingdom; Wat Mahatat housed Buddha’s relics, and Wat Phra Si Sanpet, Wat Yai Chaya Mongkol and Wat Phra Mongkhon Bophit demonstrate the architectural ingenuity of the time. Phrae Tucked into Thailand’s remote north-eastern corner, this riverside walled town was built in the 12th century and well known for beautiful teak mansions, temples and unhurried lifestyle. Influences from neighbouring Laos and Burma are evident in architecture, art, culture and cuisine. There are some twenty temples in the domain, of which Laos style Wat Luang – said to be around 1000 years old – is the first-born and the best. This octagonal stupa is notable for its elephant caryatids. 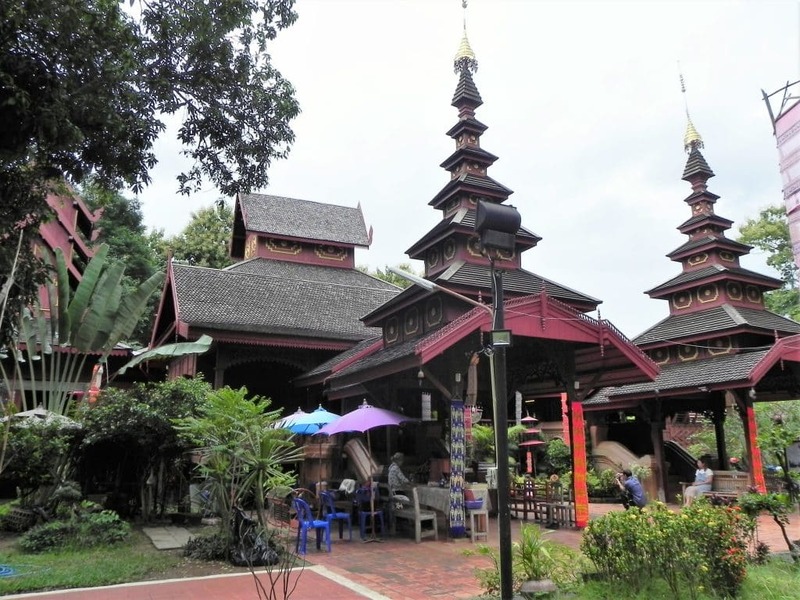 The more recently built Wat Chom Sawan is a teak architectural wonder built in traditional Burmese style. Another very impressive temple is the Wat Phong Sunan, dominated by a gleaming white chedi consisting of 108 spires. 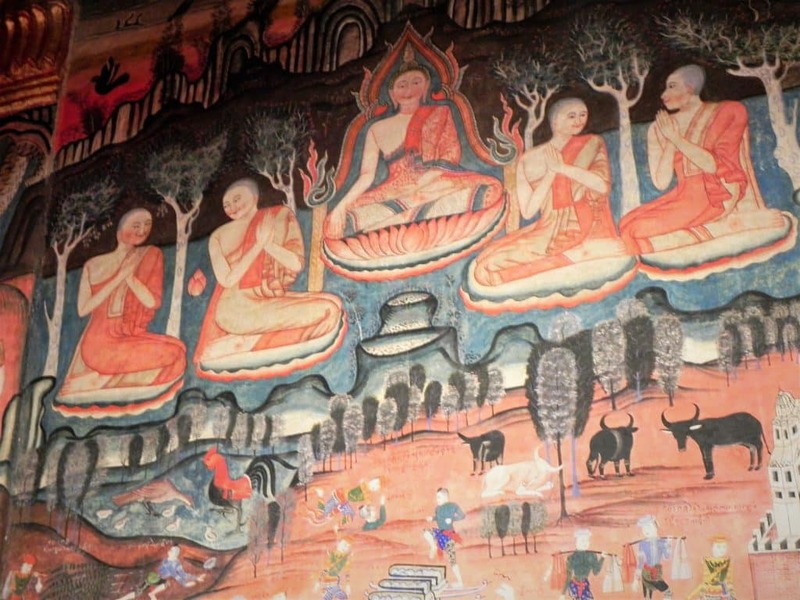 Nan Only 130km north-east from Phrae, Nan is steeped with history since the 13th century when it came under the influence of the Sukothai and Lanna kingdoms. Later in 1558, it surrendered to Burma, and subsequently became a vassal state under Bangkok in 1788. Finally in 1931, it got annexed to the kingdom of Thailand. Surely an off-the-radar of most travellers, but many find this quaint place a gem to relax in the middle of nature while appreciating the traces of the past in local art, culture, cuisine, handicrafts and temple architecture. A must visit is the 1569 Wat Phumin, featuring central golden Buddha faces in four directions and vivid murals that depict scenes from the lives of the Buddha. Another temple Wat Phra That Chae Haeng is also visit-worthy. 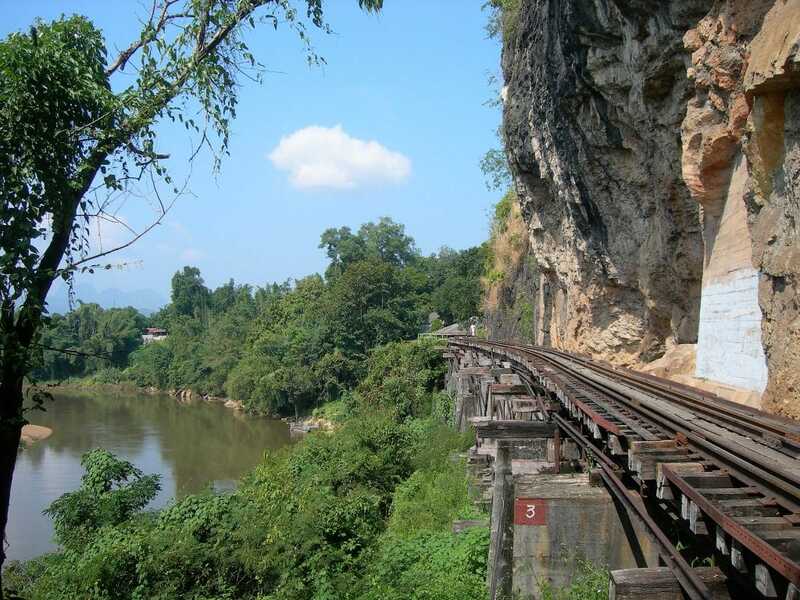 Kanchanaburi Located 130km away from Bangkok, Kanchanaburi is home to the infamous ‘Death Railway’ built over a bridge over the Khwae Yai River during WWII, deploying 60,000 Allied Forces prisoners and several locals, most of who died from the hard labour. A museum and cemetery in the quirky town provide a moving testament to the brutal episode, immortalised by the Hollywood movie Bridge on the River Kwai. 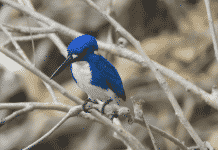 The surrounding region is a nature lover’s paradise. The magnificent landscape is dotted with pristine national parks, tranquil rivers and charming waterfalls that offer excellent opportunities for fishing, rafting, canoeing, mountain biking, bird-watching, star-gazing, golfing, elephant and jungle trekking, complementing the lures from history and culture. Maeklong Railway Market Markets in Thailand more or less have similar appearance and character. 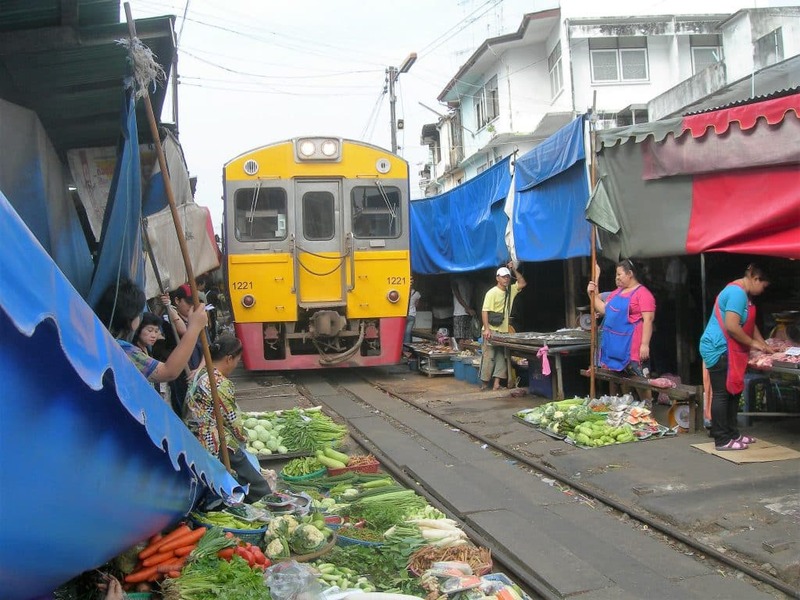 But one that definitely stands out is the Maeklong Railway Market, located 80km south of Bangkok. It’s claimed to be the only market in the world, where a train runs through the middle of it, several times a day. An amazing spectacle to see how swiftly vendors bring down shop awnings and move merchandise upon hearing the horn, giving way to the passing train with less than a foot to spare. Stay Rembrandt Hotel (rembrandtbkk.com) in Bangkok, Huern Na Na Boutique Hotel (www.huernnana.com) in Phrae and Wiang Kaew Hotel in Nan.